What can online business learn from the neighborhood store? The value of personalization, where individual visitors are treated as individuals, with targeted content and offers that appeal to their implicit or explicit needs. More conversions, traffic, repeat visitors and happier customers: imagine the possibilities when your website has the ability to sense and adapt to what each visitor wants. Achieve your business objectives and increase revenue with tools like A/B split and multivariate testing, content profiling and segmentation targeting. For the additional benefit of complete insight into each unique visitor's experience with your website, link activity to an existing database or CRM, and get the full picture of your customers at your fingertips. 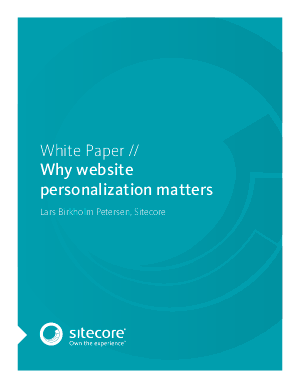 Discover the value of Personalization!